WANKULUKU – Bright Stars FC picked up maximum points against hosts Nyamitobora in the Star times Uganda Premier league game encounter played at Wankulukuku Stadium on Wednesday. The Matuga based side had to rally from two goals down to defeat Nyamityobora 3-2 in the most scoring encounter of the season so far. Nyamitobra started the game positively as Patrick Gonahasa put the home side into the lead after minutes. for the hosts on 35 minutes and ensured that Nyamityobora take a healthy lead into half time.Bright Stars captain Nelson Senkatuuka reduced the deficit to 2-1 inside the first five minutes of the restart, converting from the penalty spot. 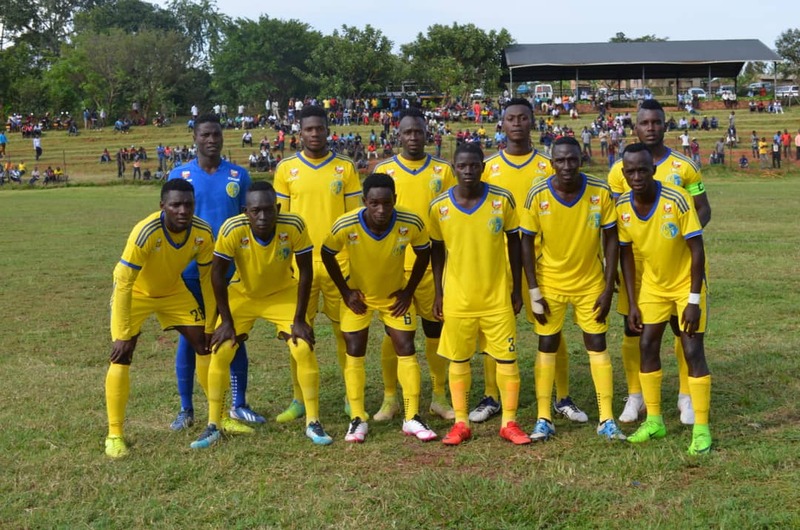 Bright stars added more misery to the hosts when Alfred Onek equalized in the 90th minute and minutes later, Kayanja Brian scored the winner for the visitors. from the same number of games. Henry wamala, Nyamityobora.“We are going back to correct the mistakes we did during the game and I believe next time we will do better. “The boys are not used with this pitch so they were not comfortable throughout..
“The team played well in the first half of the game but I believe we shall come back strong in the next match. “We almost lost the match not until the coach changed the formation and thankfully we bounced back in the second half and we won. “My target is to score more goals this season to see that my team is among the top four and myself becoming the top league scorer. Nyamitobor FC wil be back in action on the 20th against Vipers SC while Bright Stars host SC Villa at the Champions Stadium .